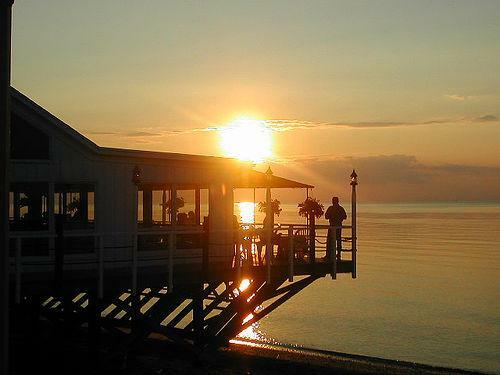 Discover the landmark Soundview Restaurant, ideally located directly on Long Island Sound, on the pristine North Fork of Long Island. Enjoy panoramic views of beautiful sunsets from our seaside deck or one of our glass-enclosed dining areas. Relax as you watch the sun dip below the waves. Indulge in one of our signature cocktails or sample one of the award-winning vintages from one of the many East End, boutique wineries. Choose from a wide selection of sumptuous dishes featuring locally grown produce, freshly-picked from some of the North Fork’s family farms, and fish served straight from the surrounding Long Island Sound, Peconic Bay and Atlantic Ocean. Soundview Restaurant presents masterfully prepared food in a warm, relaxed setting. Our menu showcases a variety of fare, blending classic American and Continental cuisines to appeal to any diner.